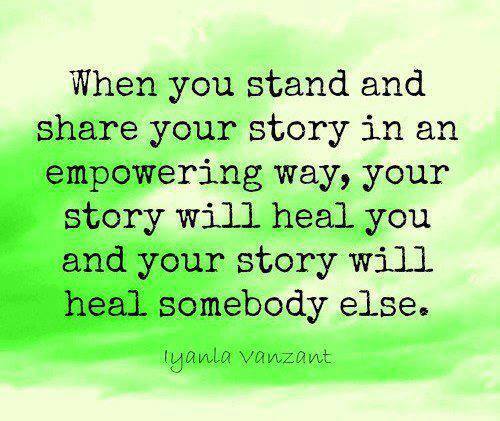 The only way to heal is to share, be open and not worry about being vulnerable! You are not alone. Everyone has problems. So, stop obsessing over your problems and start living. I am delighted our daughter at 20-something has understood the futility of keeping things bottled up. I learnt this only when I was 35. Sadly, many people still don’t get it. All our suffering comes from wanting our lives to be different from what it is now. And because it is not always possible to change what is, we spend our lives pretending that everything’s normal. For instance, people carry on with broken marriages because they worry about social approval, people live beyond their means because they want to maintain a public profile, people don’t speak their mind because they want to be nice to their oppressors and people are refusing to forgive themselves for what they have said and done only because they are still clinging on to anger and guilt. Here’s the nub: As long as we live, we will face problems. Some of the problems will cripple us physically, some will drain us emotionally. In either context, we must be willing to let go of past experiences, hurts, insults and opinions, and, in many cases, even people – we must simply move on. Anything and anyone that makes us unhappy must be avoided – like plague, even if it is our own thoughts, or even if it is someone with whom we have a biological connect! The past serves only one purpose: it teaches us lessons from what we have been through. Beyond the lesson, we have must have no attachment to a past event, person or experience. If you are clinging on to someone or something and are suffering, then open up and share. When you share, you may be vulnerable. But you will also heal. You fear being vulnerable only because you think people will take advantage of you. If they do, that’s a learning too – that you can’t count on such people. Believe me, I have been wearing my Life on my sleeve for over 15 years now. And so far, none has exploited my vulnerability. Because, contrary to what we all think, this is a wonderful world, with beautiful, compassionate people! Author AVIS ViswanathanPosted on September 14, 2015 March 14, 2016 Categories Art of Living, Be Open, Happiness, http://schemas.google.com/blogger/2008/kind#post, hurt, Inner Peace, Insult, Intelligent Living, Let Go, Pain, Share, Suffering, Wear Your Life On Your Sleeve1 Comment on The only way to heal is to share, be open and not worry about being vulnerable! In any situation, be truthful than being tactful. When you are true to yourself, nothing – and no one – can embarrass you. Some weeks ago, we were at a wedding of a close friend’s daughter. It was among the top-billed weddings in Chennai that season. Our friend is a very successful professional and is very well networked in social and business circles. There were 3000 guests at the wedding and the traffic cops had a huge job on their hands regulating vehicle movement outside the wedding venue. As we were exiting from the venue, one of the families we know was also coming out. There was our friend, his wife and their two young sons. They don’t live in India. They had flown down from the Middle East for the wedding. Our friend’s wife was unable to reach their driver and so she wondered if we could drop them to their hotel before we went home. “Hey can we squeeze in and hitch a ride to our hotel in your car,” asked the lady. “What? You don’t have a car?” the lady exclaimed. “No. We don’t. Not sure if you know this, but, we are going through a financial crisis. We sold our car some time ago. We now use public transport,” explained my wife. The lady was aghast. She stared at me and my wife in utter disbelief. Here we were, all of us guests at a big, fat, rich, Indian wedding. It is that sort of an event where the clothes you wear, the perfume you use, the jewelry you flaunt and the vehicle you arrive in really determine how you are perceived by everyone else. And here was someone who says they used public transport to get here? The lady did not hide her sense of shock. “Oh! I didn’t know this. Don’t worry, we will manage,” she said, trying to sound both apologetic and reassuring. The family soon found their car, while we found an auto-rickshaw. We all bade our goodbyes and went our ways. Saying the truth as it is, in any situation, has always worked out for us. We prefer wearing our Life on our sleeves than pretending to be different from who we actually are. And, honestly, this is the best way to live. Be open. Be transparent. 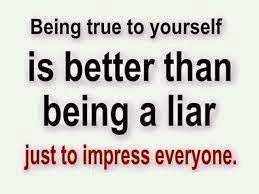 Be truthful. One of the most important aspects of intelligent living to remember is that we are not what we wear, what we drive or where we live. All these are impermanent and perishable aspects of our Life. What is permanent, and will live on, even beyond our physical form is the real Self – our soul. And even if the soul theory doesn’t make immediate sense, a practical perspective to consider is that how we are perceived by others is really irrelevant in the context of our lives. If someone does not want to respect you as a human being because you no longer have the means to afford an upwardly mobile lifestyle, such a friendship – if you can call it one – is really flaky and meaningless. On the other hand, if people will flock to you only because you flaunt an “impressive and socially inspiring” lifestyle, then again they are not friends – they are opportunists. I don’t mean to say that it is okay to dress inappropriately or disregard social customs or tradition. Nor am I saying that we should be apologetic – and brooding – for circumstances beyond our control. What I am saying though is that, in any context, just feel good and feel proud of who you are – the way you are! The simple thumb rule to follow is this – never project an image of yourself that you really are not. When you are this way, you are at peace with your circumstances, with your reality. This is the key to happiness. If people around you are uncomfortable with you and your reality, well, it really is their problem. Not yours! Isn’t that plain and simple?